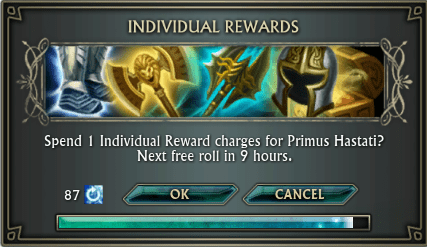 What are Individual Reward Charges? Individual Reward Charges (IRC) are a type of currency used to allow you to receive individual loot from content more than once a day/week. Generally a new player will be using their IRC on Raid Rifts or in TDEM. Crifts are also a priority, but you should use an alt for these if you can. More ‘seasoned’ players will have so much IRC it will be difficult to spend it! You can see how much IRC you have in your characters currency screen. Each of your characters will have different amounts of IRC, depending on how much you have earned/spent. You can only store up to 100 IRC on each individual character that you have. Patrons will earn 10 IRC each week, these are credited during the normal weekly reset on a Wednesday morning. Non-Patrons will earn 2 IRC each week. Your character will only ‘claim’ the free IRC if you log them at some point during the week. Even low level (below level 50) chars can earn IRC, so make sure you log each of your alts every week! IRC is also regularly added as an ‘extra’ item when buying various DLC packs from the Store. These generally come as boxes/caches which you can pop in your bank and use when you need them. When you are eligible for an IRC roll an IRC box will come up asking you if you wish to spend IRC. It will tell you how many IRC will be spent and when your next free roll will be. Clicking OK will spend the IRC and award you the additional loot/currency. Clicking Cancel will only award you the basic loot and will not spend any IRC. How much do bosses cost? Dungeons: Your first kill of each day of each dungeon boss will give you a ‘free’ loot roll. This will award you with Dungeon Currency, A Fragment and a Chance of Loot (Gear). On your second and all subsequent kills of that dungeon boss, you will get A Fragment and a Chance of Loot, you will need to spend an IRC to get the Dungeon Currency. TDEM: You get 2 ‘free’ runs of TDEM each week before you need to spend IRC on the bosses. The Bosses will drop Intel (currency), 2 Fragments and a Chance of Loot (Gear). After your 2 free runs, a boss kill without spending IRC will give you Intel (currency), 1 Fragment and a Chance of Loot (Gear). You will need to spend an IRC for a second Fragment, the first and second bosses cost 2 IRC each, the third and fourth bosses cost 3 IRC each. Tier 1 Raids: In T1 raids IRC is only used on the mini-bosses. These mini-bosses drop T1 quality earrings and rings. Just killing the mini-bosses will not lock you to the raid, you can kill them many times a week, each kill after the first will cost you IRC for a chance to loot an earring or ring. Most peeps will now get their earrings and rings from the VP boxes, so you wont find many groups farming these mini-bosses anymore. The proper bosses in T1 raids drop 2 gear items which can be distributed to anyone in the group (usually done by the raid leader or loot master). Tier 2 Raids: Can be run once a week per character. There is a normal instance lock and no mini-bosses. IRC are not used in T2 raids. The bosses in T2 raids drop 2 gear items which can be distributed to anyone in the group (usually done by the raid leader or loot master). Crafting Rifts: Crift lures are earned from doing the weekly crating quest picked up in Alittu at /setwaypoint 4030 6360 (pick the water one). Most peeps will join a group of 20 people, each bringing their own lure, the group will then pop 20 lures in a row. The first two crifts you do (weekly) will be free loot, you will receive a cache of crafting mats, along with a chance for Celestial Matrixes and Celestial Motes. After those first 2 rifts you will then need to spend IRC, 1 per rift, so for a full group you will need 18 IRC. Many peeps will use an alt character for spending IRC for crifts. Your character should be over level 65, you can post the crift lure to your alt then log that alt to join the crift group. Make sure you switch on sidekicking (right click your char portrait) to be sidekicked up to level 70. Daily Raid Rifts: Each day you can complete each of the 3 raid rifts in Vostigar Peaks for ‘free’. At stage 3 and stage 5 you will have a chance to loot a planar essence. If you choose to close the same raid rift again on the same day then you will be asked to spend 1 IRC on stage 3 and another on stage 5. 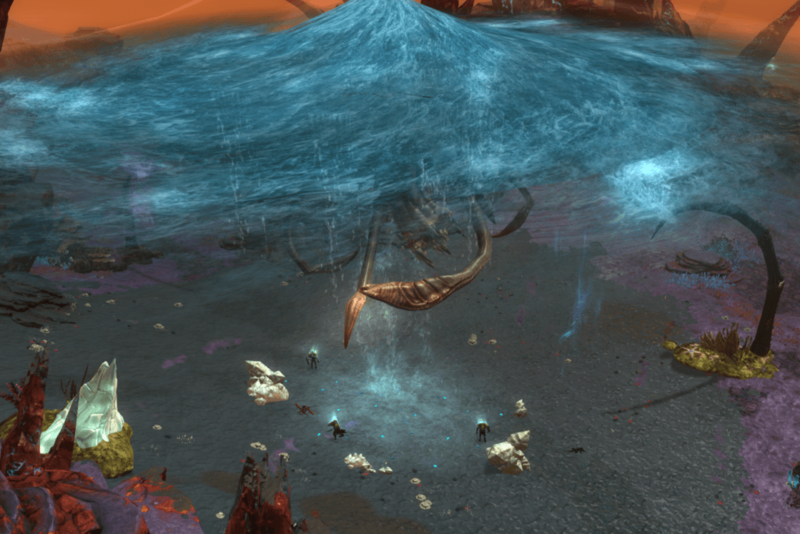 Spending the IRC will give you a Chance to loot a planar essence. 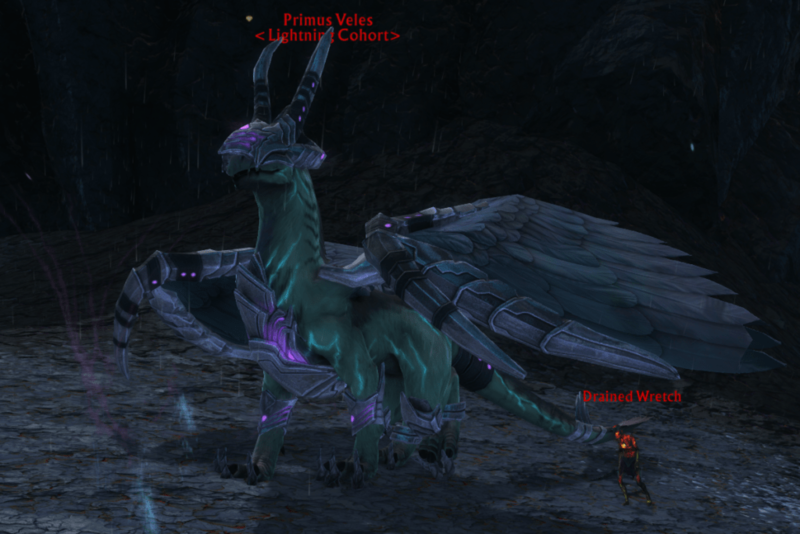 Vostigar Peaks Rares: The Vostigar Peaks Rares give one free roll each day, you will earn small amounts of Intel (10-15), a Fragment and some plat (5-10). On a second kill of the same rare in one day, you will have to spend one IRC for the same loot or you receive nothing. On subsequent kills there is no loot at all and you cannot spend IRC.